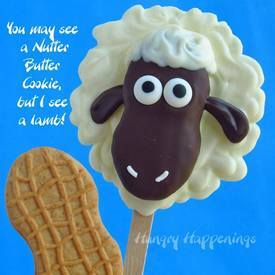 I swear every time I see a Nutter Butter Cookie, I see a new animal staring back at me. This time, it was a black and white lamb. How cute would these be sticking out of your loved one's' Easter Basket?